Offering a playing experience unlike anything on the market today, Wilson's Clash series is a new racquet line loaded with technologies that have playtesters of all levels saying "whoa." 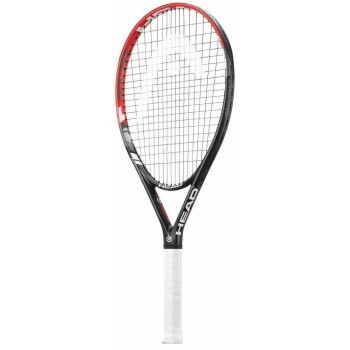 Wilson claims that the Clash 100 is the first racquet intentionally engineered to bend with any swing style thanks to its FreeFlex technology, which aims to provide maximum ball pocketing and control. Additionally, StableSmart frame geometry adds high levels of stability and power to the Clash 100. Yonex’s newest tennis racquet is here: Command the court with EZONE DR. Breaking the mould with the world’s first tennis racquet to feature premium grade NANOMETRIC DR carbon graphite, the EZONE DR gives players increased flex and repulsion plus a larger sweet spot for dynamic power. The Prince Lightning 100 tennis racquet is the perfect match for an up and coming beginner player seeking the ideal balance between power and comfort. The Prince Lightning at 100 square inches and 300 grams, features enough room on the head of the racquet for beginners to maintain power on off-centered hits. 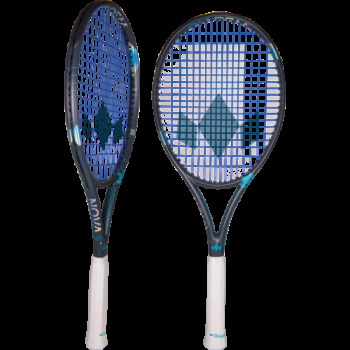 The Burn 100 Team is a great value, lightweight racket. With a weight of 267g, this racket is perfect for game improvers who play from the baseline and are looking to take their game up a notch. The 100 sq.in. headsize offers a good size sweet spot and the 16 x 20 string pattern offers a great deal of feel and control. The Burn 100 Team is a great choice for any intermediate player. Lighter than the grown-up SPEED series for easier handling and better maneuverability, the SPEED JR. provides all of the same benefits for optimized control. Made for the serious up and coming junior player, the SPEED JR. features the innovative Graphene XT technology, which shifts the weight to where you need it most for a faster game. With its 16/19 string pattern for more spin than ever before. Head updates the Extreme S with some extra stability, power and spin. At 280 grams, this racket accelerates with remarkable speed. As such, it is perfect for novice players who wants to start hitting with more pace and spin. This racket should also work for the intermediate player who places a premium on maneuverability. The Extreme S benefits from Graphene 360, which is a material technology that strengthens the racquet at 3, 9 and 12 o'clock. Introducing the state-of-the-art racing racket with new HYPERFIBRE +technologies developed to maximize racket speed and durability. The 2018 Dunlop Force 600 offers excellent manoeuvrability and punch precision thanks to the light frame and 105 sq. inch head. It is an ideal, very versatile racket for advanced players with high stamina and excellent precision.